Need help applying for social security disability? Liner Legal is available to talk with you about your situation and determine what is best for you. For more information, contact us today. As SSI disability lawyers in Cleveland, Ohio, as well as Akron, Canton, Sandusky, and Youngstown, we are looking out for your best interest. Disability Insurance Benefits is an insurance program, which goes by several names. Social Security Disability Insurance (SSDI) and Title II Benefits are other common names for Disability Insurance Benefits. A specific payment towards Social Security tax over a period of time determines your eligibility for these benefits. This insurance program works because it takes a portion of your earnings form each paycheck when you have a job. A combination of the withholdings from yours and other’s paychecks pay disability claims. Generally, your eligibility for this insurance coverage is based on if you worked at least five years within the past 10 years before your disability started. This depends on your age at the onset of your disability. The five years doesn’t have to be consecutive but must equal at least 20 calendar quarters within the previous 40 calendar quarters. In order to receive DIB coverage, your disability must have started during the period when your disability insurance was in place. In regards to how much you will receive in monetary amounts for your benefits, it depends on how long you worked and how much you earned during that work period. The longer you work and the more you earn will equal a bigger benefit amount you receive. Additionally, DIB claims do not have household income restrictions. Even if your spouse works and financially supports your household, you are still entitled to DIB if you have a disability. Title XVI Benefits is another common term for Supplement Security Income. SSI is a Federal income supplement program for those who have limited income and resources. General tax revenues fund this program. Social Security taxes do not fund SSI. This supplemental program helps those who are aged, blind, disabled or have little to no income. Your past work history and your family’s past work history does not affect your entitled SSI benefits. In order to qualify for SSI benefits, you must be found medically disabled and meet financial requirements. The disability rules for SSI and DIB are the same. In addition to having a medical disability, you must have a very small amount of household income or property resources under SSI regulations. If your income or resources exceed the maximum limit allowed under SSI rules, you cannot qualify for the benefits. It is important to remember that SSI benefits are intended for disabled people who need minimal economic relief, but wouldn’t be able to gain financial assistance otherwise. The Child’s Disability Benefits is a program that falls under Supplemental Security Income. The CDB program helps give financial support to disabled children who are either the age of 17 or younger. Social Security has different rules for determining a child’s and an adult’s disability claim. Under the different guidelines, a child is found disabled when they have a physical or mental condition, resulting in severe functional limitations. However, CDB and SSI are the same because a parent cannot earn an income exceeding the maximum monetary level. This disability benefits program is in place for widows or widowers who meet certain regulations set by Social Security. Those married to someone who paid Social Security tax qualify for this program. If the widow is 50 to 59 years old and married their spouse for at least 10 years also determines eligibility for benefits. Additionally, proving a medical disability and that the disability started within even years of their spouse dying are requirements for benefits. Disabled adult children are eligible for benefits under different rules. Children 18 or older may earn benefits, but only if they became disabled before turning 22. Adult children may also earn benefits if they are under 19-years-old and are a full-time elementary or secondary school student. If their parent is alive, the parent must either qualify for retirement or disability benefits. If their parent is deceased, they must have worked long enough under Social Security to qualify for survivor’s benefits. Children who are 18 or older can receive Social Security benefits if they have a disability. Their parent must also have worked long enough to receive disability benefits or is deceased. The disability requirements for a disabled adult child is the same as the adult requirements. In order for someone to qualify for DAC, they must have a medical condition (disability) which began before age 22 and makes them unable to work. A qualifying medical condition must last at least 12 months or result in death. 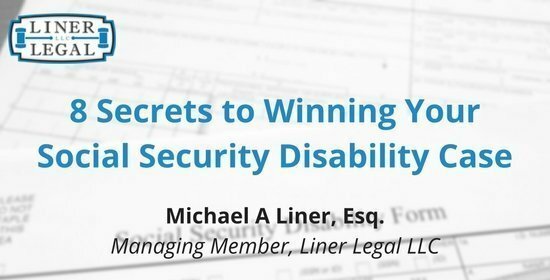 For additional information on pursuing a social security disability claim and to learn more about benefits, click here.